RIBBON CUTTINGS - Click on each photo for a complete gallery. Eric Kiehn, owner of C&W Technologies, welcomed Chamber members, business associates and friends to celebrate the complete remodel of his showroom on April 11th. 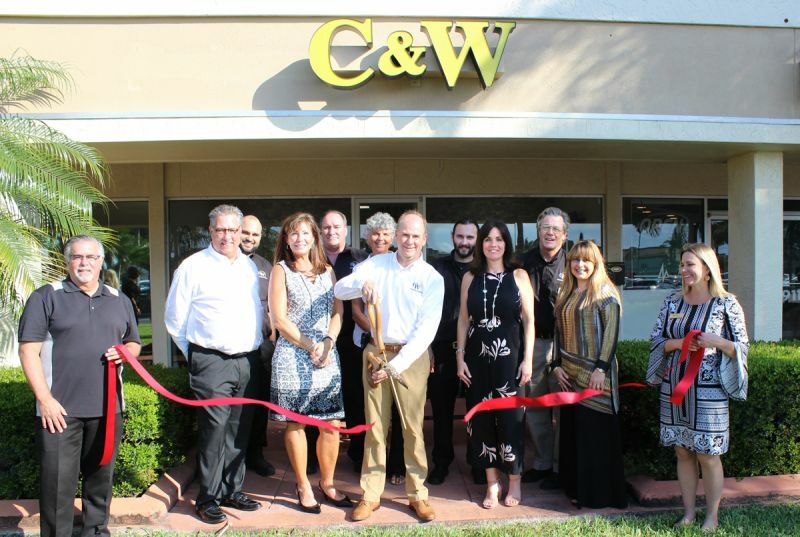 C&W Technologies has been a loyal Chamber member for 33 years. 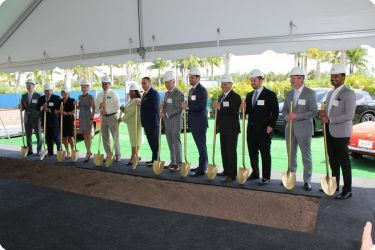 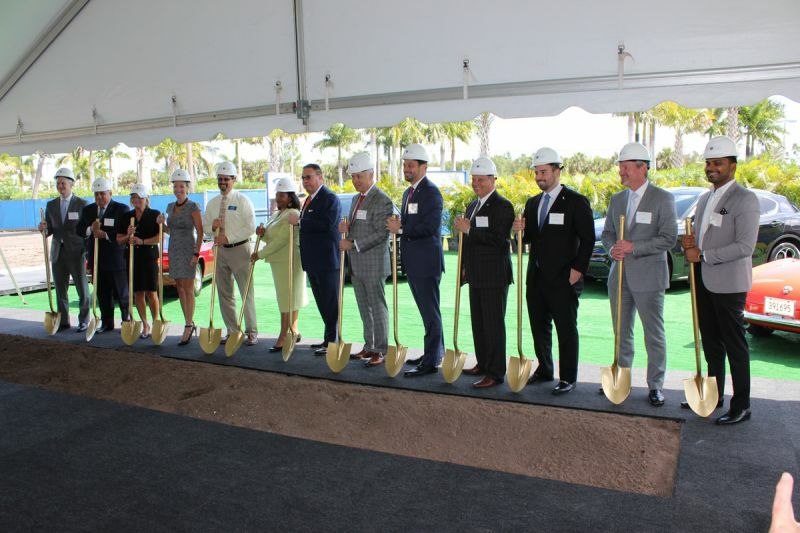 Mario Murgado, owner of Infiniti Stuart and Audi Stuart, announced the opening of their newest dealership, featuring Alpha Romeo and Maserati, with a first class groundbreaking event. 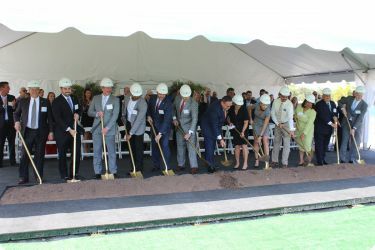 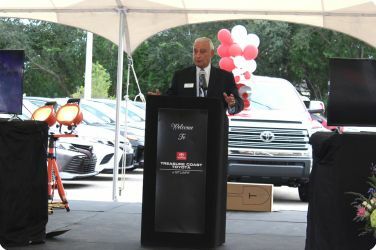 Prominent members of the community and the auto industry were treated to a gourmet luncheon held at the site. 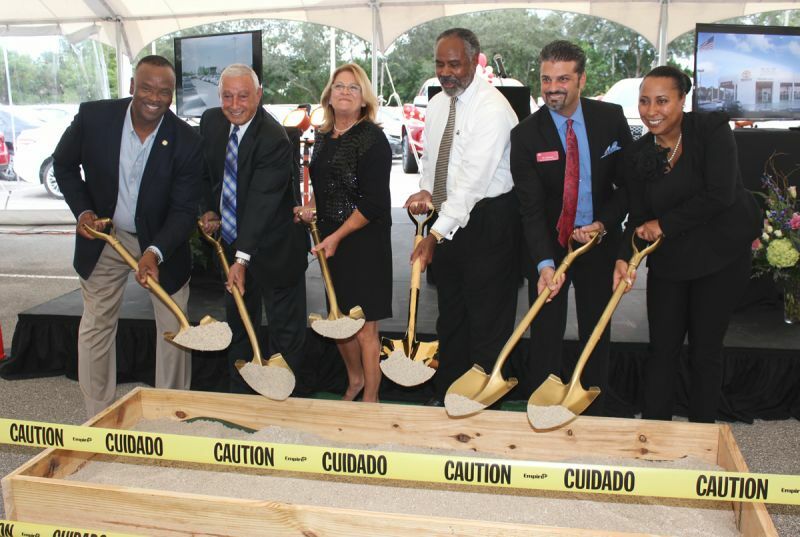 The opening of the dealership is scheduled for October, 2019. 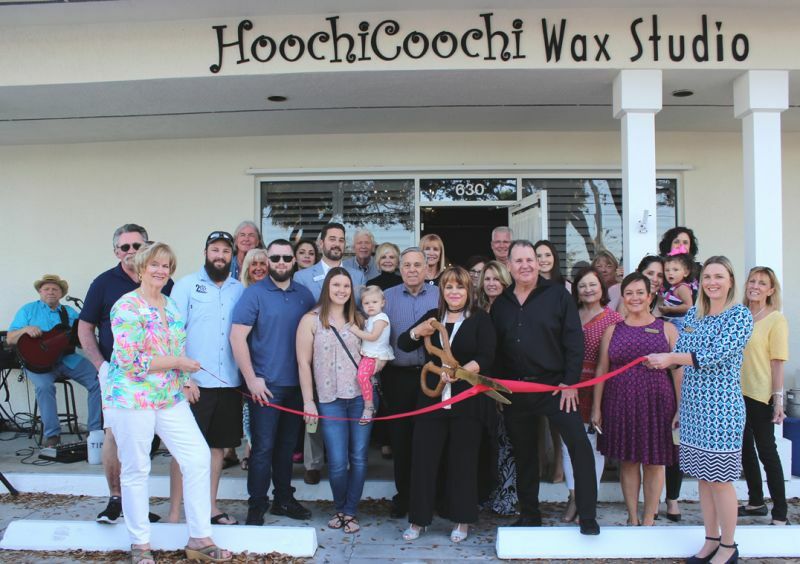 It was a beautiful evening on February 28th, as HoochiCoochi Wax Studio celebrated their Grand Opening, complete with music, food and fun. The Stuart/Martin County Chamber was on hand to perform their official ribbon cutting, as friends and family lent their support. 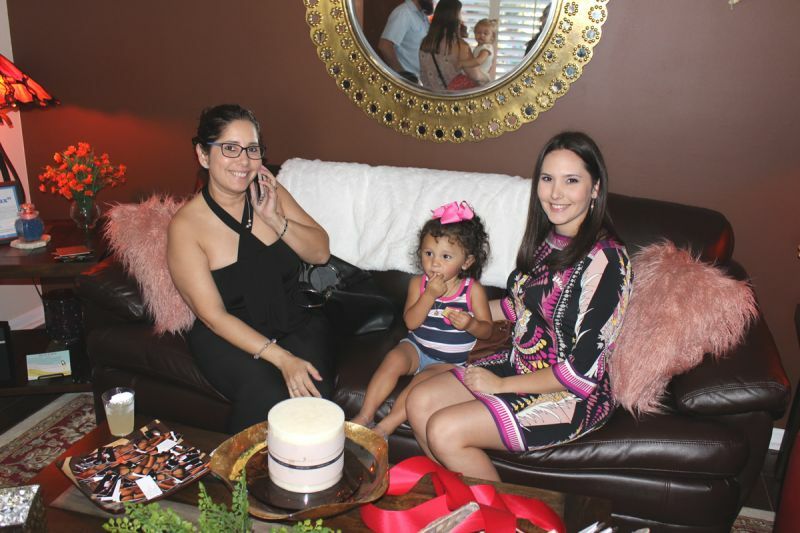 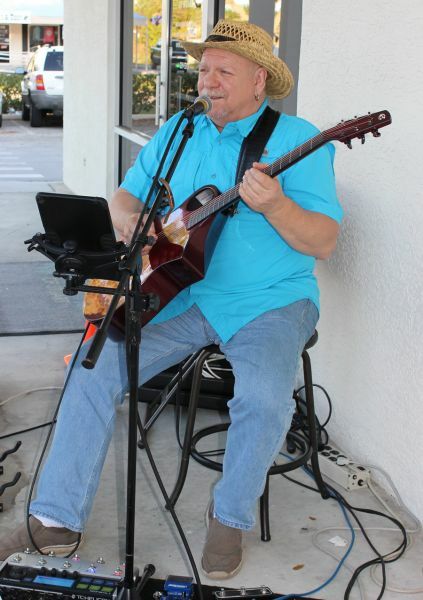 There was plenty of entertainment, food and refreshment at the Grand Opening of HoochiCoochi Wax Studio. 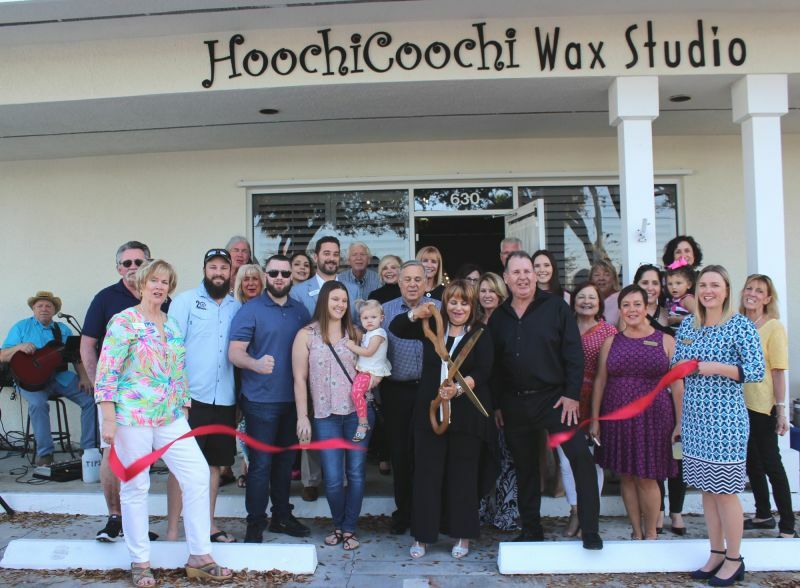 It was all in the family at the Grand Opening of HoochiCoochi Wax Studio on February 28th. Even the little ones were enjoying the food and fun. 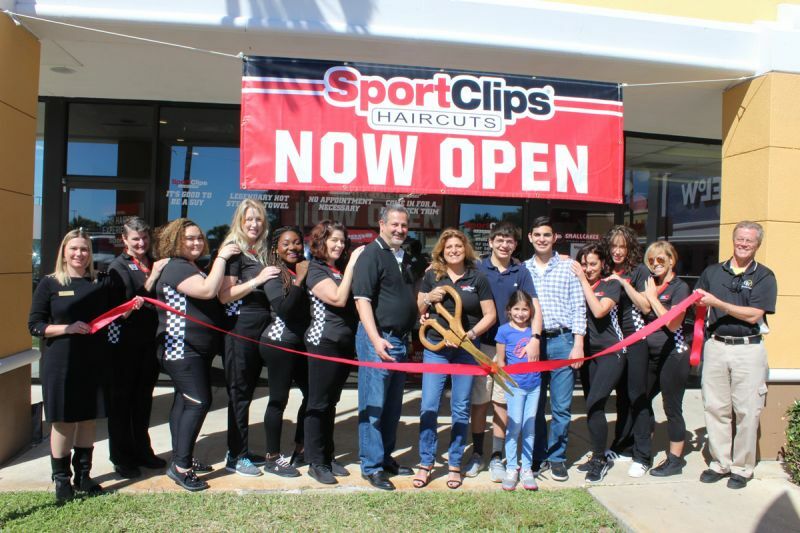 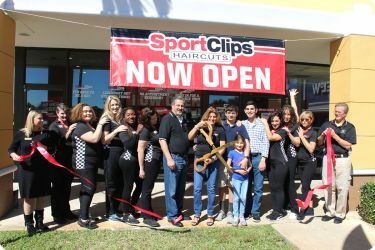 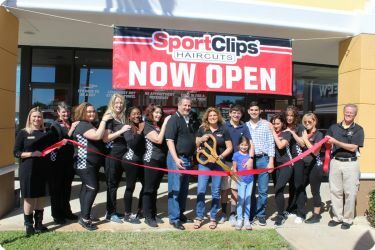 Rana Chams, along with her husband and team members, cut the official Stuart/Martin County Chamber ribbon, as they opened the first SportClips Haircuts in Stuart, located at 2297 S.E. 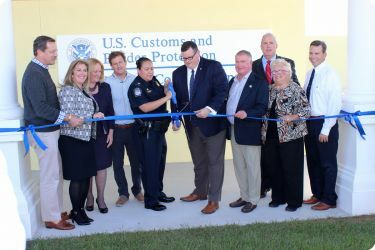 Federal Highway. 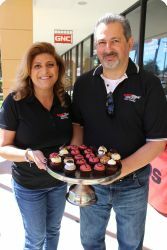 Rana and Sal Chams, team leaders for the new SportClips in Stuart, displayed their celebratory cupcake arrangement, provided by their next door neighbor SmallCakes, for their January 29th grand opening. 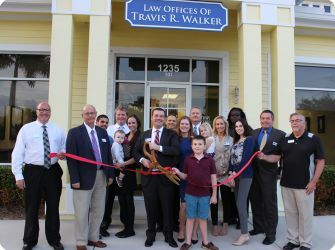 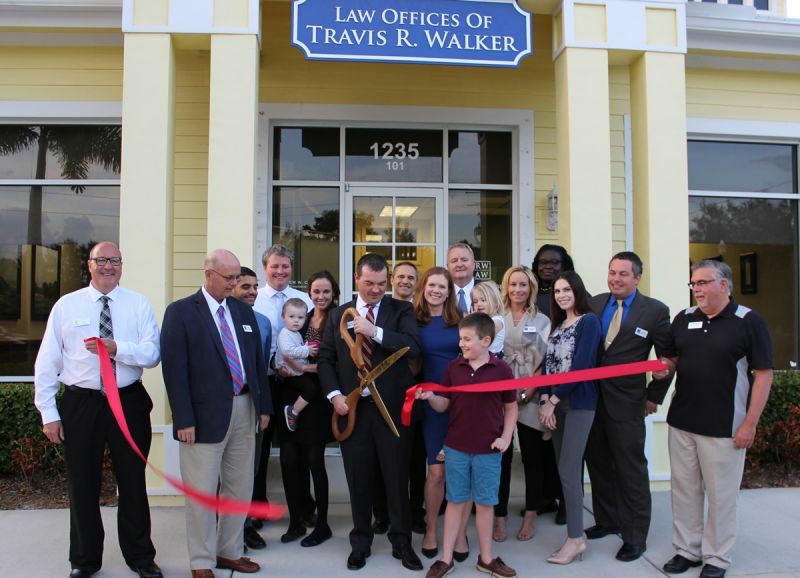 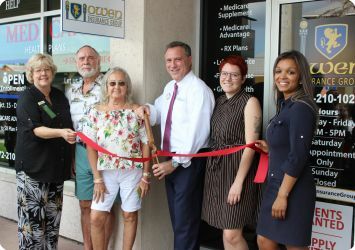 Local attorney Travis Walker welcomed family, friends and business associates to the official opening of his office at 1235 Indian Street, in the Sawgrass Business Center, Stuart. 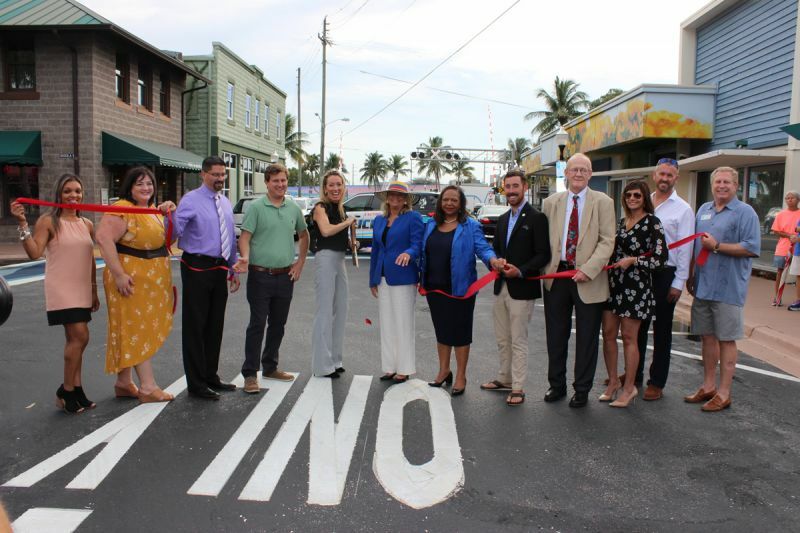 The Stuart/Martin County Chamber conducted a ribbon cutting to honor the event. 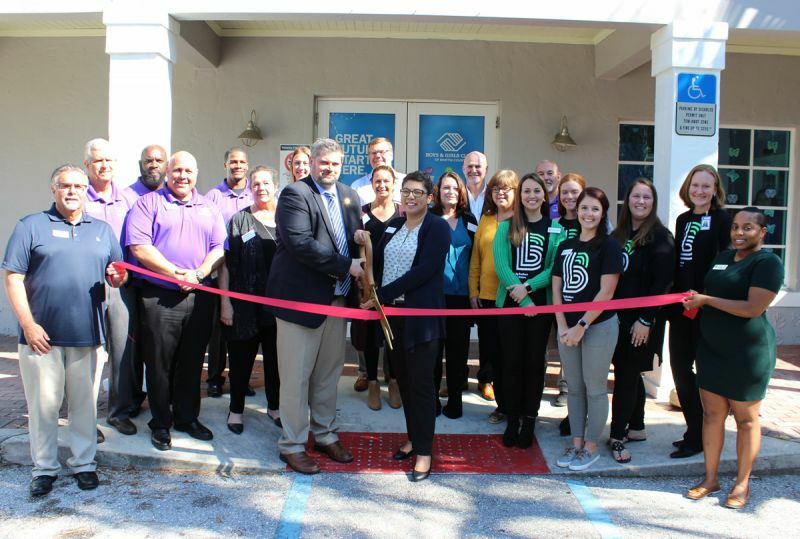 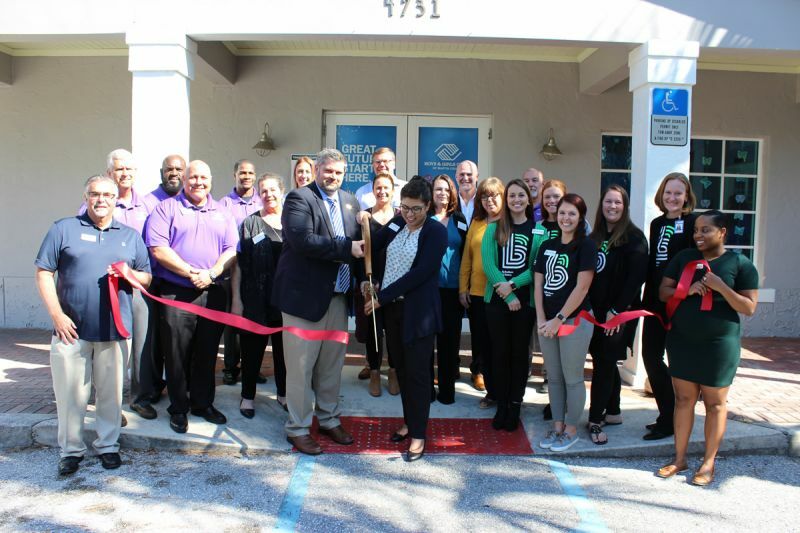 Members of Big Brothers Big Sisters and Boys & Girls Clubs of Martin County gathered at the Port Salerno club on January 15th to announce the alliance between the two organizations. Stuart/Martin County Chamber members, business associates and friends were among the group of well-wishers in attendance at the official ribbon cutting for the affiliation. 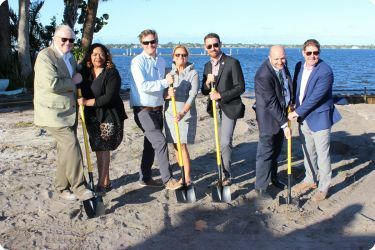 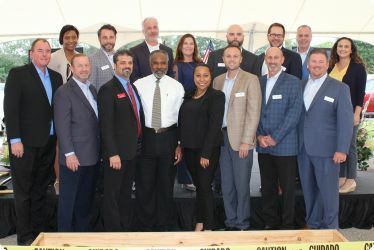 On a cool, sunny January afternoon, Stuart City Commissioners, Stuart/Martin County Chamber representatives and other community leaders were on hand to support the groundbreaking of Seminole Bluff premier waterfront residences, located in downtown Stuart. 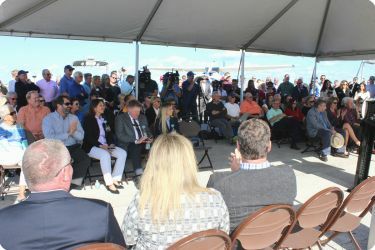 Shown (from left) are Seminole Bluff developer John Doyle; City Commissioners Eula Clarke and Merritt Matheson, Mayor Becky Bruner, City Commissioner Mike Meier, former Mayor Troy McDonald and builder Jeff Hardin, Straticon. 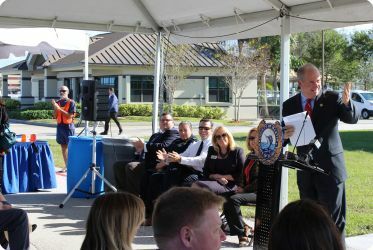 There were plenty of accolades to go around at the December 6th ribbon cutting for the U.S. Customs facility at the Stuart Airport. The project has been many years in the making; being approved, disapproved and approved again. 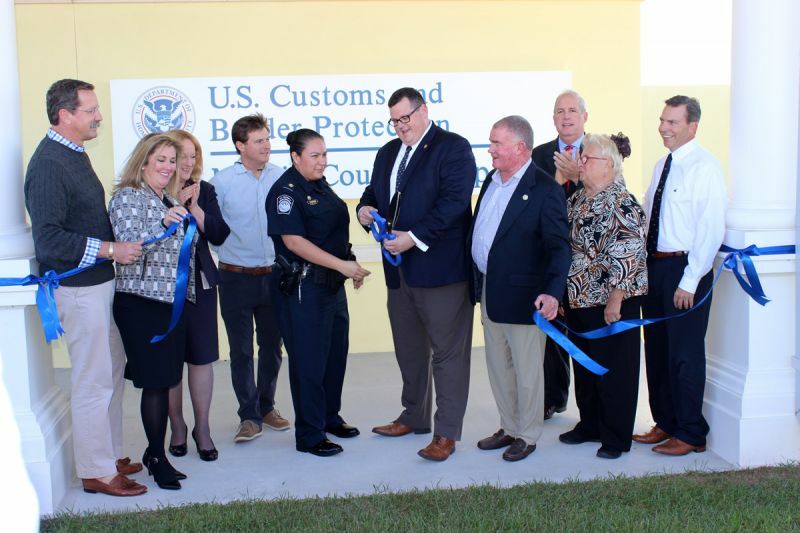 Customs agents conducted tours of the facility, including the holding cells which are used to detain suspicious individuals. The Customs office is projected to open in January 2019. 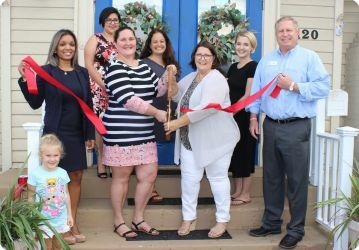 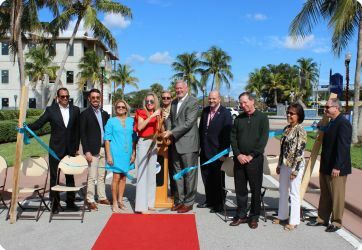 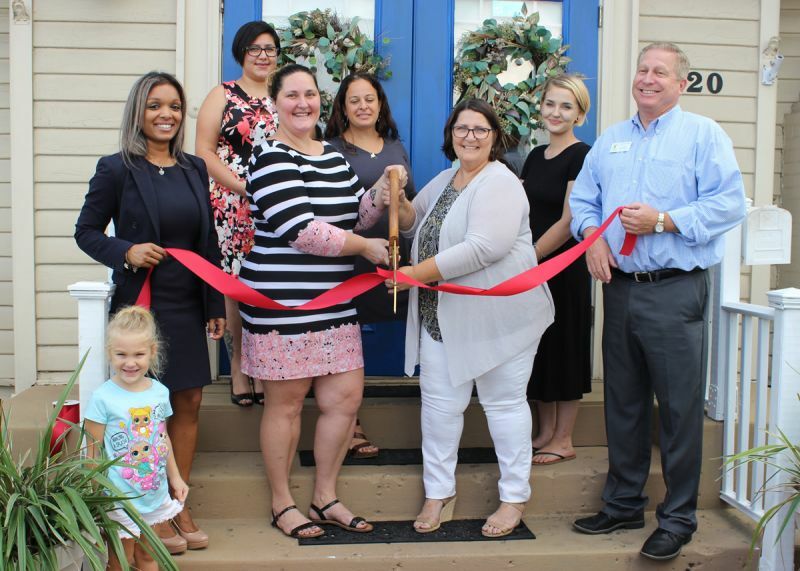 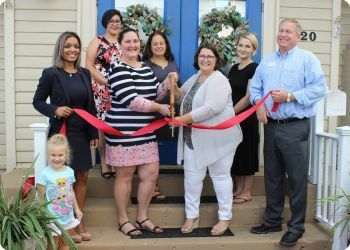 City of Stuart officials, along with New Urban Communities CEOs, the Stuart/Martin County Chamber and members of the community, welcomed the newest rental complex in Stuart, Azul Apartments, with a ribbon cutting on November 30th. The conveniently located and pet-friendly complex, with breathtaking views of the St. Lucie River and downtown Stuart, will be available for rent in June 2019. 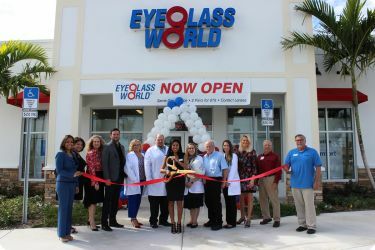 Guissella Grieco, General Manager of Eyeglass World, along with the District Manager and staff, welcomed Stuart/Martin County Chamber members to the Grand Opening of their newest location at 2600 S.E. 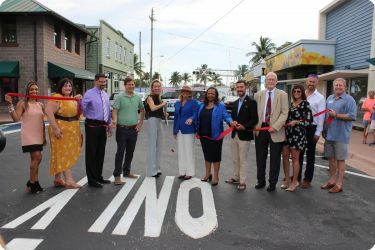 Federal Highway, Stuart. 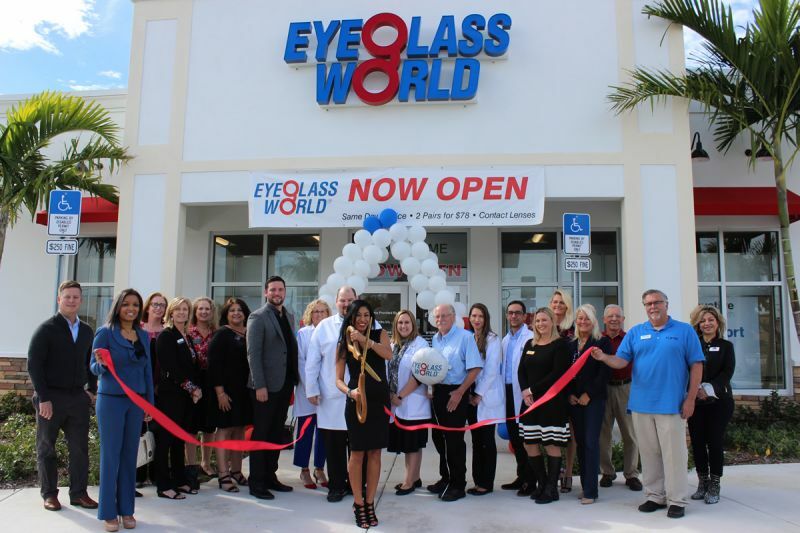 Guests were treated to lunch and discounts on eyewear during the November 29th ribbon cutting. At the November 15th groundbreaking of Treasure Coast Toyota’s expansion, Stuart/Martin County Chamber Chairman Joe Catrambone presented an economic history of Martin County, including the positive impact the dealership has made in the community. Members of the Southeast Toyota family gathered at the Treasure Coast Toyota dealership on November 15th to celebrate the upcoming multi-million expansion, with a groundbreaking ceremony. On November 15th Treasure Coast Toyota of Stuart celebrated their upcoming expansion with an official groundbreaking performed by (from left) Florida House Representative, Larry Lee; Stuart/Martin County Chamber President/CEO Joe Catrambone; City of Stuart Commissioner Becky Bruner; Treasure Coast Toyota owner Sandy Woods; General Manager Fil Catania and owner Amber Woods. 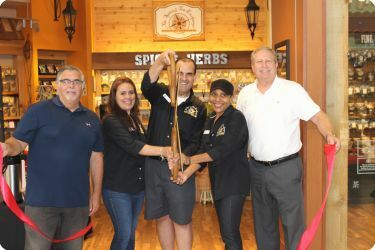 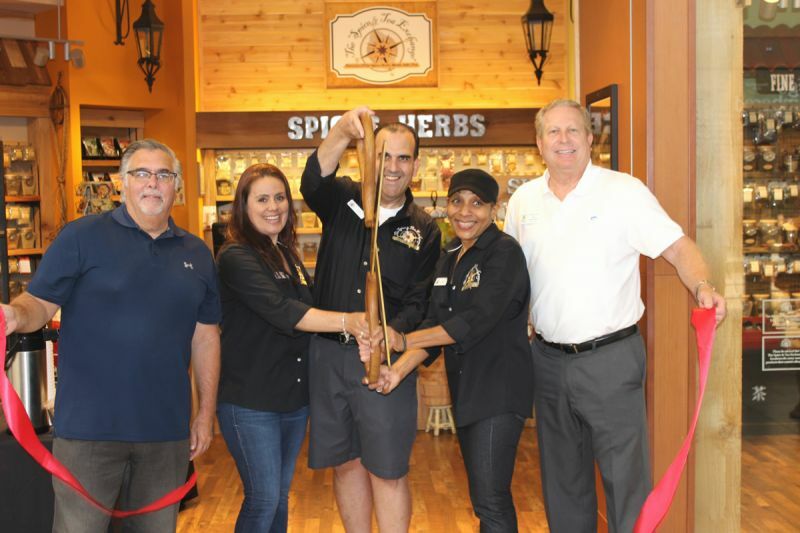 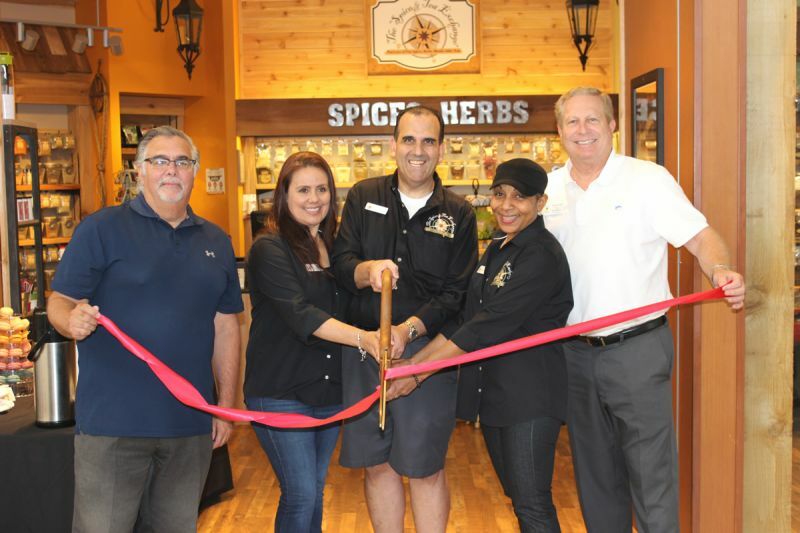 Stuart/Martin County Chamber members and guests were treated to special treats and refreshments at the November 9th ribbon cutting for The Spice & Tea Exchange, located in the Treasure Coast Square Mall. 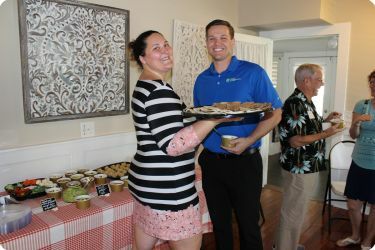 The Coast 101.3 FM was on hand to promote the event, with gift drawings, including a Bahamas cruise. Before: While celebrating the official Grand Opening of Mondo Wood Fired Pizza, owner Michael Matakaetis (light pink shirt), shown cutting the Stuart/Martin County Chamber ribbon with his staff, also presenting a successful fundraising event for one of his valued staff members, who is bravely battling cancer. 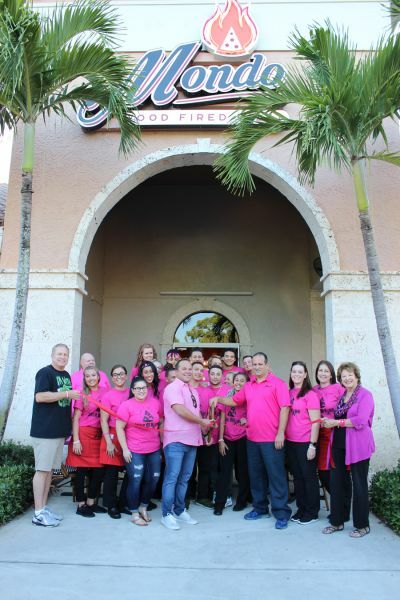 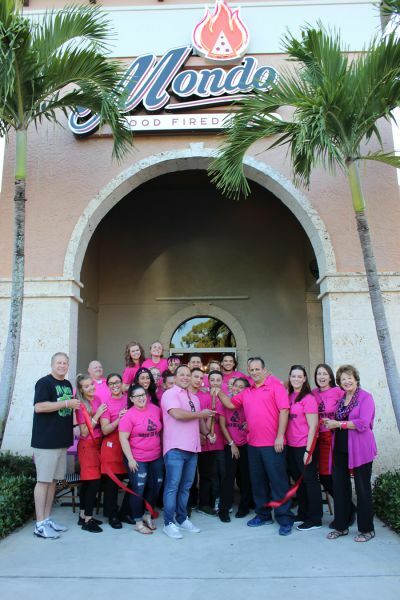 After: While celebrating the official Grand Opening of Mondo Wood Fired Pizza, owner Michael Matakaetis (light pink shirt), shown cutting the Stuart/Martin County Chamber ribbon with his staff, also presenting a successful fundraising event for one of his valued staff members, who is bravely battling cancer. 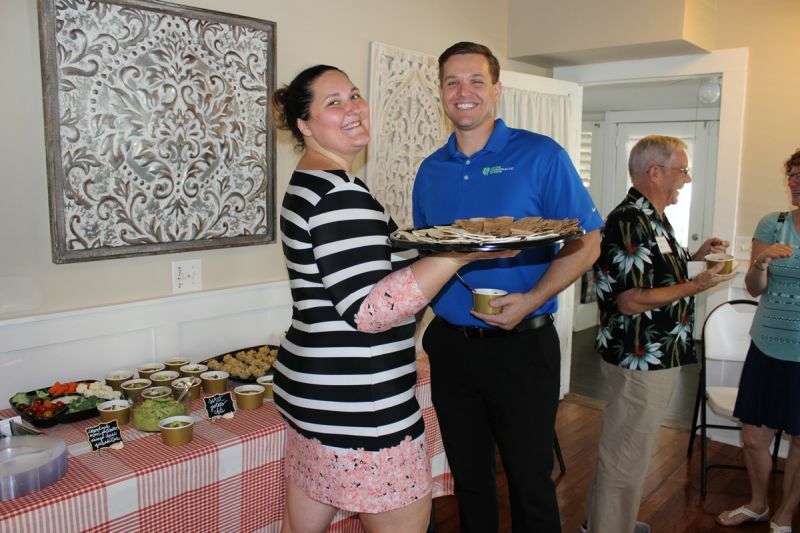 Sonia Bond, Bell House Birthing Service tempts Dr. Spencer Perna, Loving Chiropractic of Stuart with the special quesadilla lovingly prepared for the grand opening of their new location at 120 West Ocean Boulevard, Stuart. These lovely ladies at Bell House Birthing Service prepared a healthy and delicious lunch for their guests at the grand opening of their new location at 120 West Ocean Boulevard, Stuart. Mother-daughter team of Dawn and Sonia Bond, Bell House Birthing Service, cut the official Stuart/Martin County Chamber ribbon for the grand opening of their new location at 120 West Ocean Boulevard, Stuart. 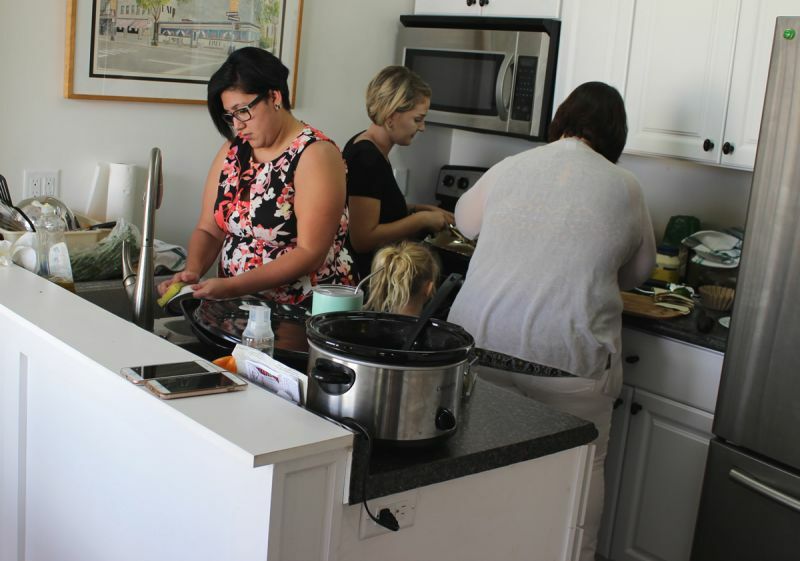 Friends and clients joined in on the festivities, including a homemade healthy lunch spread prepared by the staff. 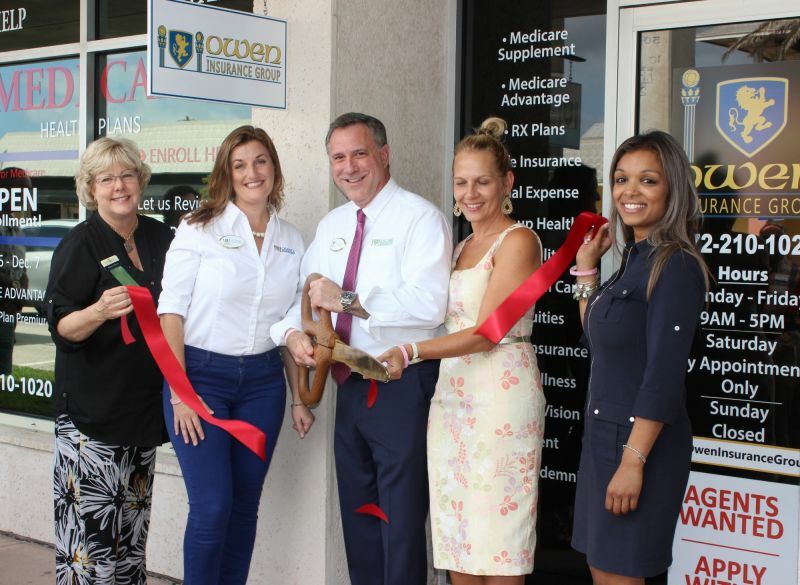 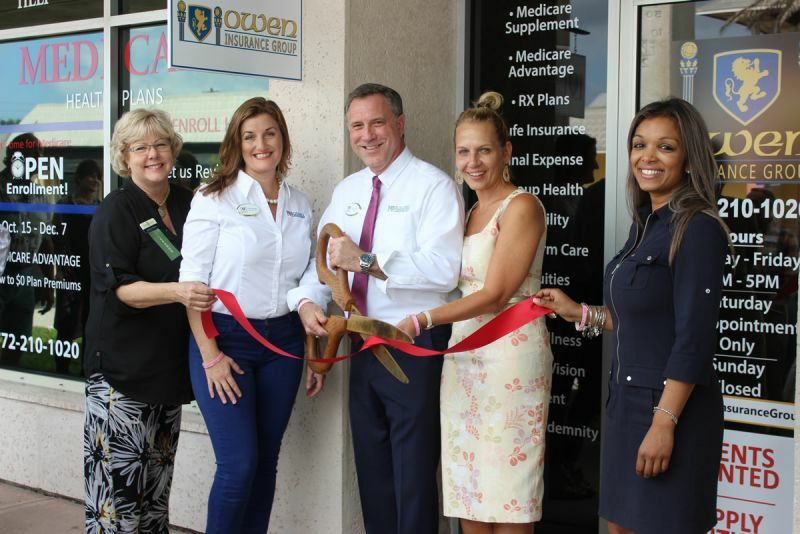 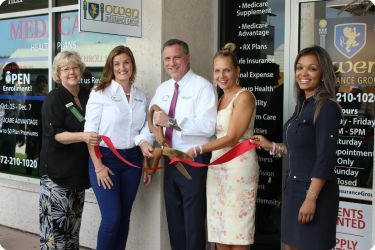 Gary Owen, owner of Owen Insurance Group celebrated the opening of his new and improved office location in downtown Stuart with a Stuart/Martin County Chamber ribbon cutting on October 12th. 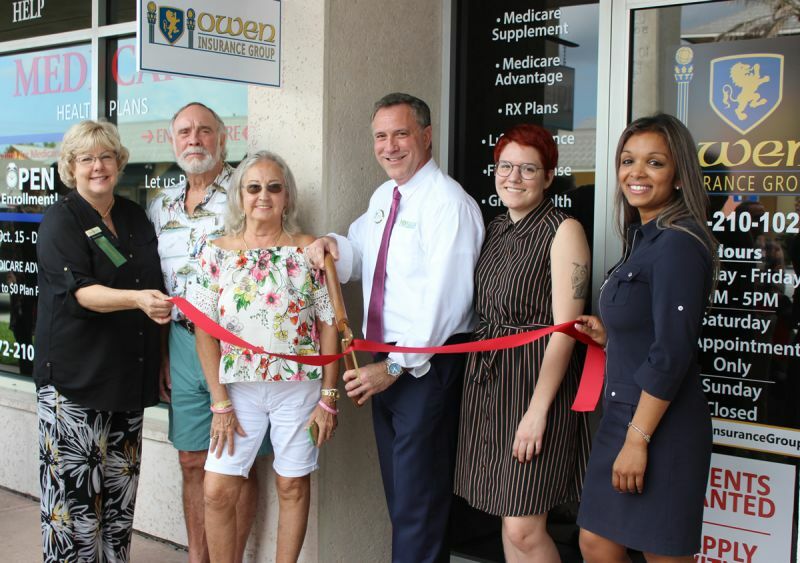 On a beautiful October Friday, Gary Owen, owner of Owen Insurance Group, shown with his daughter, parents and Stuart/Martin County Chamber Ambassadors, celebrated the grand opening of his downtown Stuart office with a ribbon cutting and luncheon for his guests. 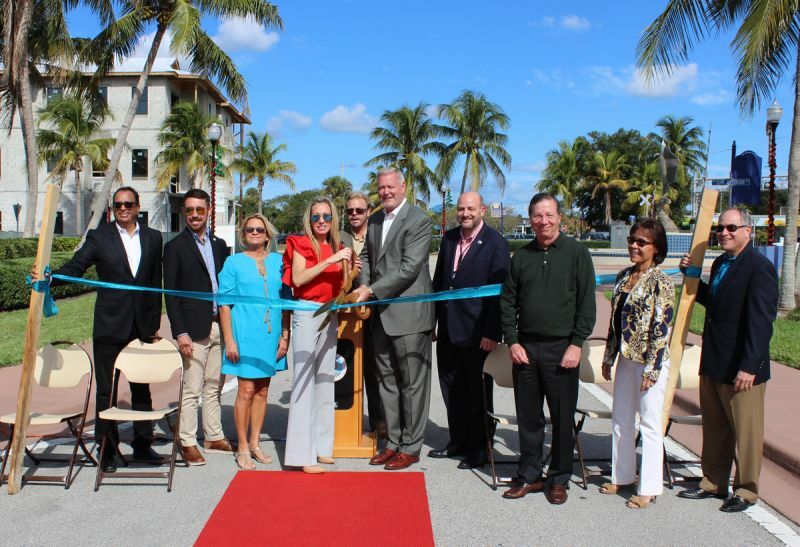 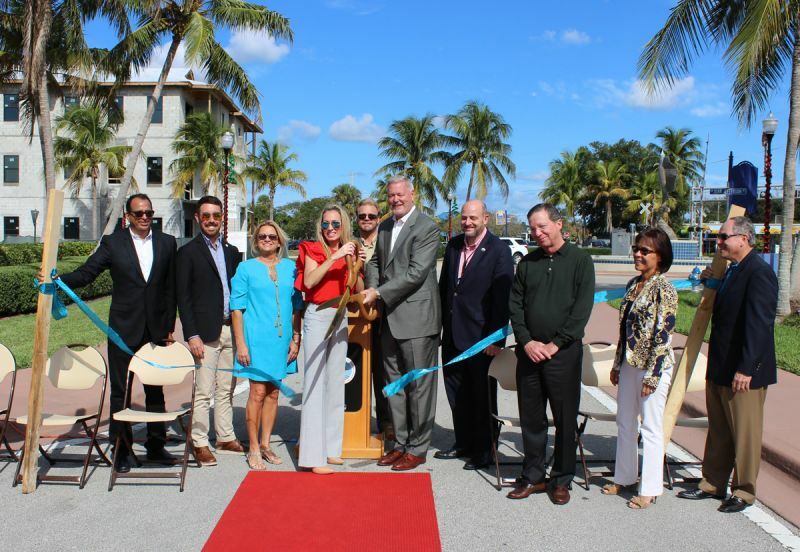 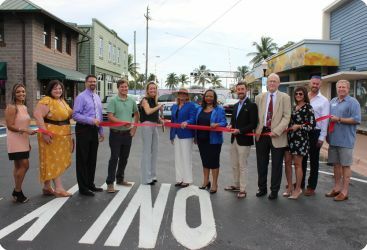 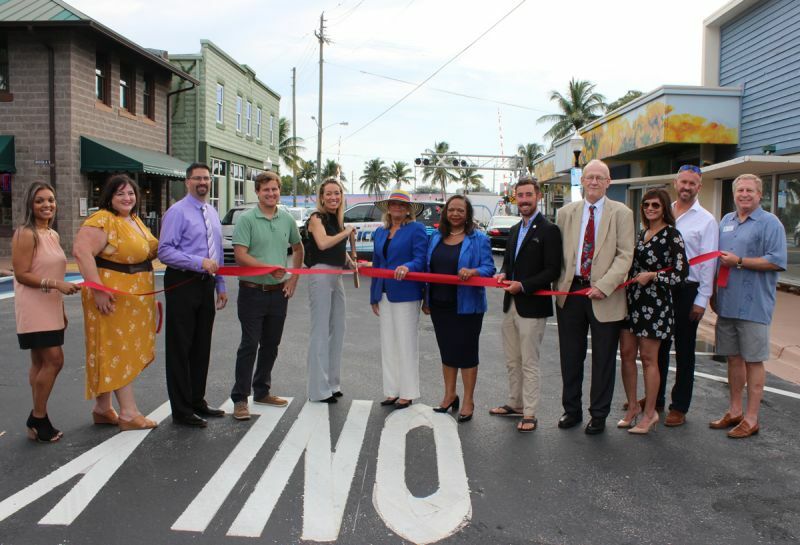 On October 11th, City of Stuart Mayor Kelly Glass and fellow city officials re-dedicated Downtown Stuart with a Stuart/Martin County Chamber of Commerce ribbon cutting. 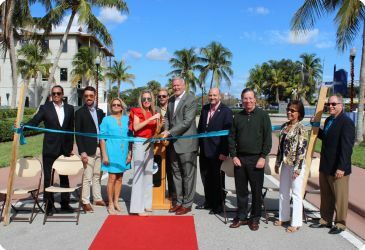 The ceremony celebrated the long-awaited revitalization with new streetscapes and other improvements designed attract more visitors to the downtown area. 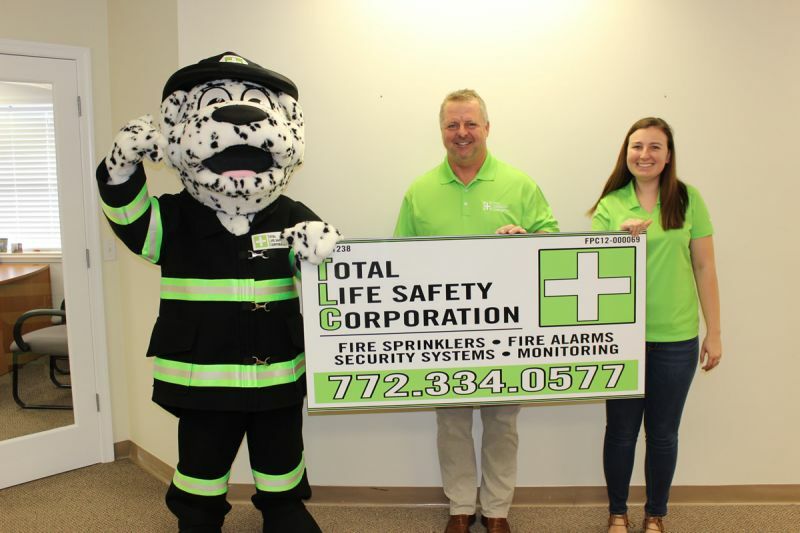 Diesel, the Total Lifesafety Corporation mascot, is pumped over the rebranding campaign headed by owner Bryan Polhemus and Michelle Zakarian.